Today Consumer Packaged Goods (CPG) manufacturers are struggling to balance their accounts ledger and cut excess expenditure mismanagement from their trade promotion investments. 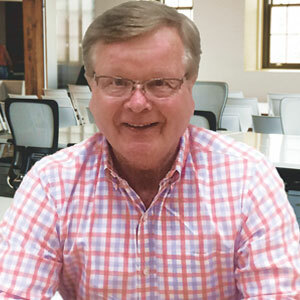 According to Wayne Spencer, President, and Founder of T-Pro Solutions, “one of the most significant challenges confronting the CPG sector is effectively and efficiently managing the growing trade promotion expenditure, which is averaging over 20 percent of annual gross revenue.” As the trade margins in the CPG industry continue to erode, CPG companies need -to have accurate analytics to optimize their trade promotion spending. To cater to these needs of the CPG manufacturers, T-Pro Solutions—a Columbus, OH based firm delivers a suite of SaaS based software applications to streamline the trade promotion investment of their clients. “We utilize–a standard Dot Net/ SQL platform along with the Amazon cloud to deliver our multi-tenant secured database. The T-Pro Optimum predictive analytics solution can also deliver a private cloud or on premise version of our software for larger global CPG companies,” speaks Spencer. Stressing on the need of predictive analytics and optimization software, T-Pro Solutions delivers its T-Pro Analytics and post promotion analytics solution to empower CPG manufacturers to take control and maximize the return on their promotion investment. With the help of T Pro Analytics, clients can integrate the disparate silos of information into a real-time database and map it to their trade promotion system for better real-time trade management. “T-Pro delivers the most accurate baselines and historical/predictive lift coefficients to provide the foundation for accurate post event analysis,” says Spencer. By utilizing T-Pro’s powerful predictive scenario and customer planning capability, CPG manufacturers can also enable the retailers to analyze the most profitable tactics while developing optimal future promotion plans. “T-Pro provides a proprietary “Master Calendar” view which incorporates shipments, spending and consumption data to provide an accurate KPI analysis,” affirms Spencer. With the help of this software, clients can also adjust their point-of-sale data reported discount levels, that can be misreported by loyalty card promotions. The T-Pro optimum feature of the software enables clients to optimize their annual customer plan based on profit, revenue, volume or on T-Pro’s Trade Promotion Investment Quotient (TPIQ). Paraphrasing Spencer, T-Pro’s “What If Scenario Planner” enables the users to develop the most optimal scenarios utilizing constraints for both the retailer and manufacturer. Clients can also leverage the Consumption to Purchase Index (CPI) to calculate the predictive forward buy based upon the dead net of the given discount. Ainsworth Pet Nutrition one of T-Pro’s early clients realized a quantified a three percent return on their annual trade spend on an annuitized basis. Initially, when Ainsworth implemented T-Pro they had limited resources to manage their trade investments. The client was making a significant investment on trade promotion but was only able to analyze 30 percent of their customers. T-Pro’s trade promotion optimization software was able to automate the whole process enabling them to maximize theirannual trade spend. “For most of our clients we have been able to reduce the time of compiling data on massive spreadsheets by 70 percent which has freed up valuable resources to analyze the data and make more strategic and tactical shifts to their future trade spending,” extols Spencer. The firm plans to build another module in Q4 called T-Pro Cat-Plan. With the help of this module, T-Pro Solutions will be able to enhance their joint business planning power along with optimizing an entire category for revenue, profit, volume of TPIQ. We believe this will be the game changer for accomplishing comprehensive customer/category/brand collaborative joint business planning,” concludes Spencer.